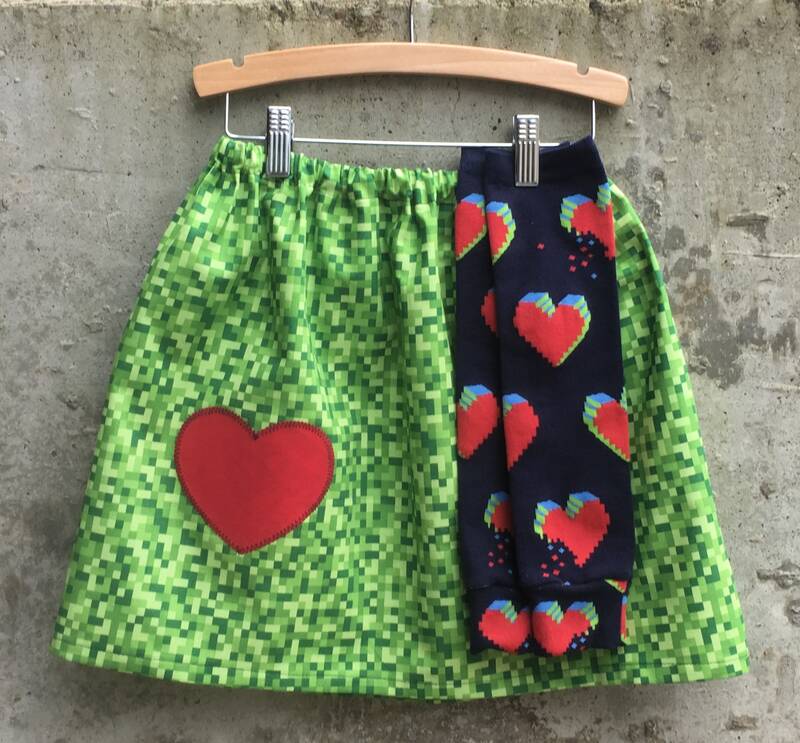 Fun Minecraft Inspired Green Pixel material gets a red heart to coordinate with Pixel Heart leg warmers! The perfect something special for your little Minecraft gamer. This boutique quality appliquéd skirt and leg warmer set is available in sizes to fit babies, toddlers and big kids. Perfect as a gift or something special for your child to wear at their next birthday party, special occasion or photo session. Also fun as a Halloween costume add on.